Is that drab old monochromatic keyboard getting you down? 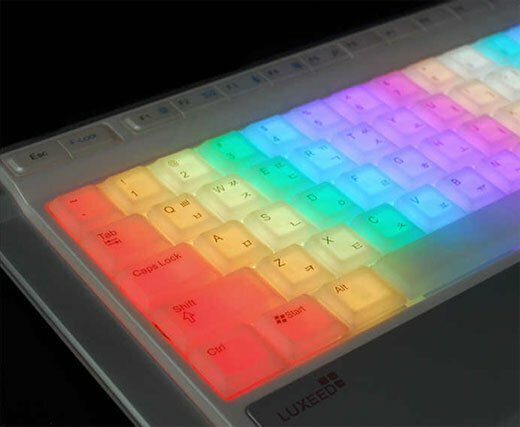 This keyboard from Korea’s Luxeed features color changing LEDs under each and every key. 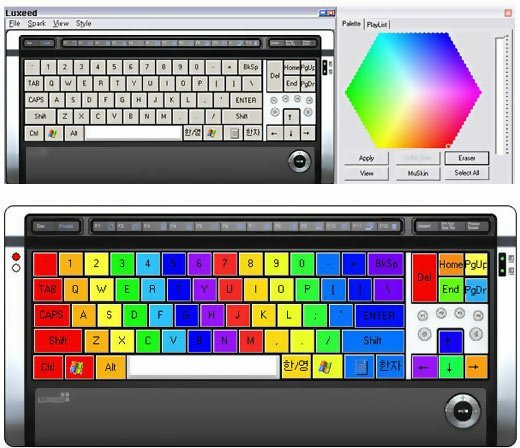 While it can certainly be used to produce seizure-inducing displays of blinking color, the keyboard comes with software that lets you do more subtle things, like just set the keyboard to a light up with a single hue that strikes your mood, or create intricate patterns of color. 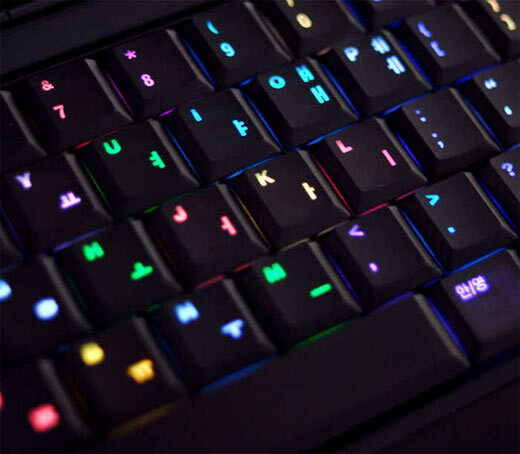 Luxeed’s USB keyboards are available in a white backlit version (KRW 118,800 / $127 USD) and a sleek black backlit version (KRW 125,600 / $134 USD), where the keys stay black and only the letters change colors. The keyboards have started to trickle out in their native land of Korea, but hopefully somebody will see fit to import these into the U.S. and Europe soon.